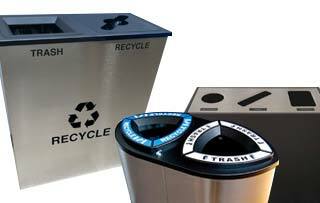 Built with sustainability in mind, the Ellipse Collection of recycling stations contains over 30% recycled materials and is 100% post-consumer recyclable. 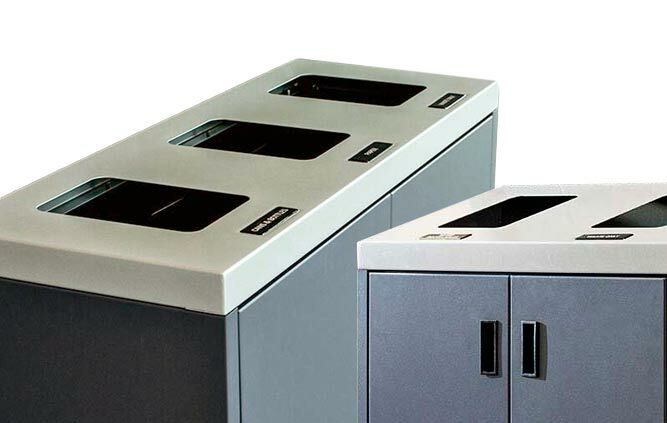 These high capacity waste and recycling receptacles are available with a sleek canopy, making it ideal for outdoor and building entrances. Each unit comes standard with a keyed locking mechanism to prevent unauthorized access.